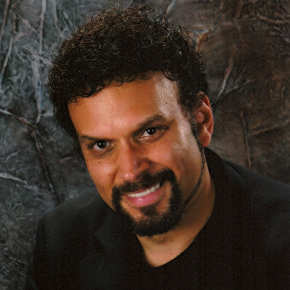 In the years since, Neal has made his mark as a successful novelist, screenwriter, and television writer. As a full-time writer, he claims to be his own hardest task-master, always at work creating new stories to tell. 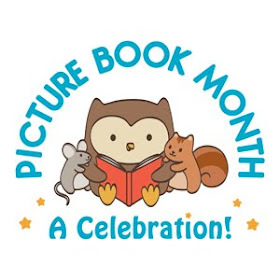 His books have received many awards from organizations such as the International Reading Association, and the American Library Association, as well as garnering a myriad of state and local awards across the country. Neal's talents range from film directing (two short films he directed won him the coveted CINE Golden Eagle Awards) to writing music and stage plays – including book and lyrical contributions to “American Twistory,” which is currently played in several major cities. He has even tried his hand at creating Games, having developed three successful "How to Host a Mystery" game for teens, as well as seven "How to Host a Murder" games. Antsy is one of those characters who generally has good motivations but constantly makes poor choices and ends up in trouble. Going on a cruise with his family as the guests of his father's business partner seems like an innocent activity and it probably would have been (or maybe not, this is Antsy we are talking about) if he hadn't forged a birth certificate so his friend, Howie could come in his brother's place. 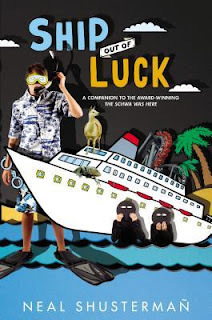 When he meets a stowaway on board and gets involved in her illegal activities he has no idea how it's going to come back to bite him. Full of eye-rolling humor but also dealing with a fairly serious issue (illegal immigration & poverty), Shusterman gives the reader plenty to enjoy as well as think about. One thing you can say for sure is that the world will never be the same again. Thanks to the publisher I have a copy to give away. Fisher Bas and Two were able to thwart the evil Dr. X, but after somehow surviving the explosion at TechX Enterprises, Two is in Hollywood looking for his "mother." Fisher must bring him back to Palo Alto before his cloning secret is discovered. When a class field trip to see the Dr. Devilish science show arises, it becomes the perfect opportunity for Fisher to find his clone. But all kinds of complications will get in the way--including Amanda Cantrell, who knows more than Fisher would like about Two's identity. As Fisher, FP, and Amanda team up to find Two, they find trouble, high jinx, and the return of an evil mastermind--all set in the glitz of Hollywood. M.E. Castle is a writer and actor working in the glorious center of the universe, New York City. 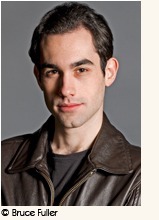 He graduated from Oberlin College in 2008 with a degree in Theatre and has written a number of short stories, only a handful of which have ever been seen by an audience wider than his closest friends. Throughout his college years, he was one of the leading writers of the noir detective radio drama The Dead Hear Footsteps, to which he also lent his vocal talents. Popular Clone is his first novel. Hmm. What's a word to describe this book. Wacky? Perhaps. Creative? Definitely. Funny. Deliciously so. 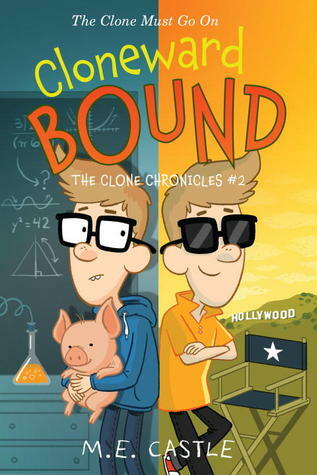 Full of wacky metaphors, amusingly flawed characters, and some of the craziest adventures I've ever had the pleasure of reading, Cloneward Bound makes for a very entertaining read. Fisher Bas is desperate to get his clone back and as he heads to LA to find Two he enlists the help of Amanda, the head of the wrestling and debate teams. But can he outwit and outmaneuver secret agents as well as chaperones while trying to keep his clone's identity a secret. Full of robots, crazy inventions, and FP (flying pig), Fisher's pet, this book provides quite a ride. Great for kids who enjoy lots of science (especially the destructive kind--I mean lots of strange robots) and the power of using one's mind to solve problems. Recommended. Thanks to the publisher I have one copy of Cloneward Bound to give away. Unsettled by the proximity of foul play, Wendy asks Erica to investigate. Erica is convinced that the near double-murder was no coincidence, so she accepts her friend’s request—with her skill, solving the mystery should be a piece of cake. But as she sifts through mounting evidence, one thing becomes clear: everyone had a reason for wanting both men dead. And as the plot thickens, it appears that Erica may have bitten off more than she can chew. ​“As she drove back to Wendy’s house, the headlights cleaved the darkness and shone through the rain, which was falling harder now. Erica parked across the street and was nearly to Wendy’s door when she stopped suddenly, catching herself as she nearly fell over something. Her hobbies are gardening, camping, and reading. 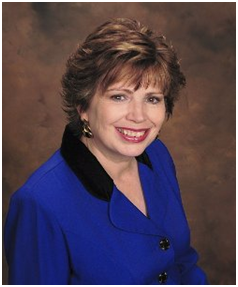 Marlene has been published extensively in magazines and newspapers and has written a number of non-fiction books, including: Latter-day Saint Heroes and Heroines, And There Were AngelsAmong Them, Visit’s From Beyond the Veil, By the Ministering of Angels, and Brigham’s Boys. Marlene also wrote the best-selling novel, Light on Fire Island. A busy writer, Marlene is set to have three books published this year. Gaze Into Heaven, a fascinating collection of over 50 documented near-death experiences in early church history, was published earlier this year. 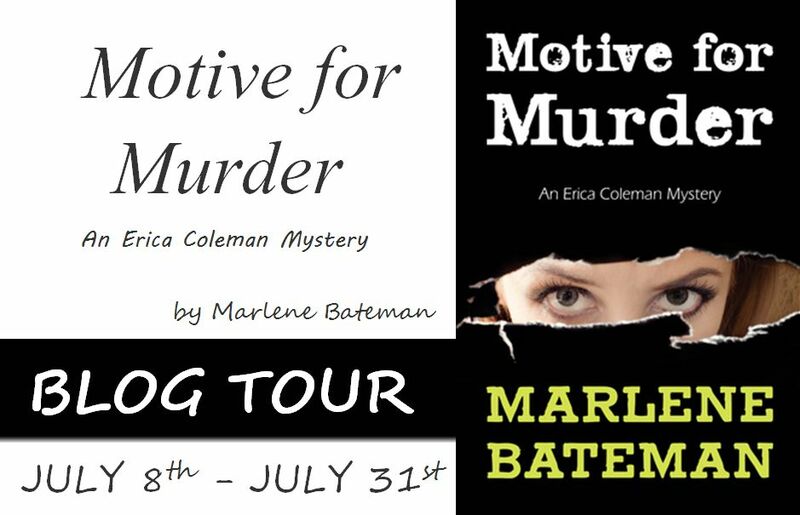 Next is Motive for Murder, the first in a mystery series featuring the quirky Erica Coleman. In July,Heroes of Faith, a collection of stories about people who risked their life for the gospel, will be released by Cedar Fort Inc.
What inspired you to write Motive for Murder? I love mysteries so much that I finally decided to write one. My first book, Light on Fire Island, was a combination mystery/romance, and while there is a little romance in Motive for Murder, it is more of a full-blown mystery. I loved the idea of a quirky, OCD private detective, so created Erica Coleman, who will star in forthcoming mysteries. Erica is both helped and hampered by her OCD tendencies, which alternately charms and irritates people. Who is your favorite character in your book, and why? I like Erica Coleman the best, but I had a lot of fun with Myrna and Coby Kincaid. I loved it when Erica helped Coby sneak some cookies while his wife isn’t looking! Do you have any unusual habits while you write? Not really, but I have four furry friends who keep me company. I have three cats and two dogs and both dogs and two of the cats follow me around wherever I happen to be working. My husband built a little gazebo in the back yard, and I often go out there to write and my little friends always go out with me and curl up in the shade. My husband and I like to go camping. We roughed it when we had kids, but then bought a 5th wheel. Much nicer! Air conditioning, queen size bed, microwave, stove, the works. I take my laptop of course, and occasionally “work” but it doesn’t seem like work when you’re sitting underneath tall pines and enjoying the great outdoors. Do you have plans for a new book? Is Motive for Murder part of a series? I have BIG plans. 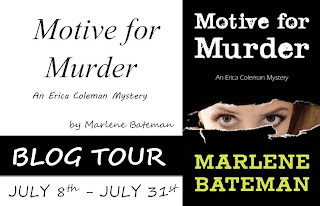 Motive for Murder is the first in a series that feature Erica Coleman as a private eye. 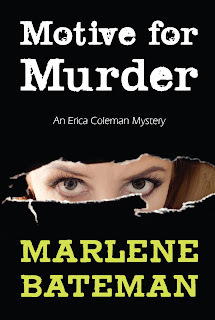 In fact, the next two books in the Erica Coleman series have already been accepted. In future books Erica continues ferreting out clues, and annoying people with her OCD even though it helps her pick out clues that others miss. At times, Erica will be in danger, and have to work to overcome her fears as she works to uncover the murderer. Also, I hope to do a sequel to my non-fiction book, Gaze Into Heaven, which was published earlier this year. Gaze into Heaven is a collection of 50 near-death experiences in early Church History. I’ve had a lot of positive feedback from readers, and that has been very encouraging. What would you like your readers to get out of your writing? First, I want readers to be entertained. That’s why, after all, people read—to be entertained by an engaging story. Second, I like to explore specific problems, such as in relationships or moral issues, the kind of thing all of us face. In Light on Fire Island, I had the main character deal with a fractured relationship with her father. She felt he didn’t love her, but he was just a crusty old sailor who didn’t deal well with relationships. They both needed to learn to forgive and accept others for what they are. InMotive for Murder, there is conflict between Wendy and her teenage daughter, Megan. So often teenagers think the world revolves around them. But we also see things from Megan’s point of view and come to understand why and how Megan feels that her mother’s actions indicate a lack of caring toward her children. It’s interesting to see how each person sees the same thing differently and each character has valid points. Seagull Book: Available on CD and paperback. Amazon: Available on Kindle, and paperback. Deseret Book: Available as Ebook, CD, or paperback. Sometimes we wonder how, with so many people on earth, we matter to God. Like birdsongs in a city of sounds, answers to our prayers are easy to miss—unless we’re listening. 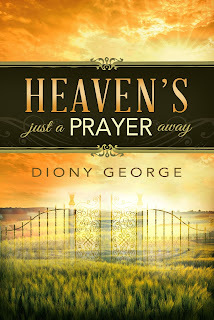 Through inspiring personal stories, scripture, and prose, Heaven’s Just A Prayer Away answers many questions about communicating with and drawing closer to Jesus Christ and our Father in Heaven. 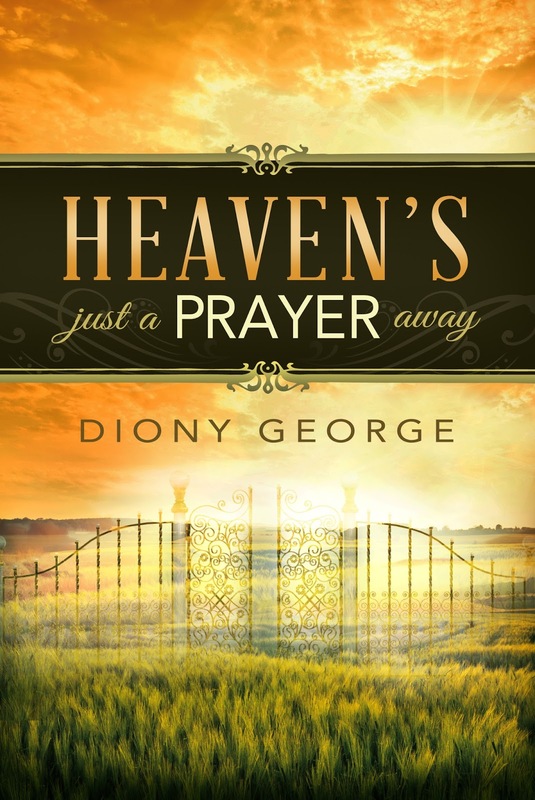 Prayer is such a personal topic that it can be hard to talk about, but that doesn't hinder Diony George from writing a wonderful book on the topic. Using both personal experiences, short stories, and quotes she covers the topic in a brief but powerful way. Communicating with God can be such a wonderful thing if one takes the time and puts in the effort to do so. Highly recommended. He’s forever comparing me to the woman pirate who sailed our waters during Blackbeard’s time. Pa holds that Anne Bonny must have been a wild and careless girl. Like me. Although I have no desire to end up as a pirate. I plan to be a Life Saver. 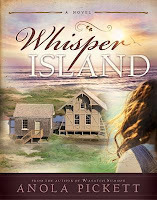 It’s 1913 in Whisper Island, North Carolina, and twelve-year-old Primmy Hopkins has dreams above her station. She wants to be a part of the US Life Savers Service, even though only men can join. She wants to do something worthwhile—to help people and make a difference. Her long-forgotten mother has other dreams for her, though. 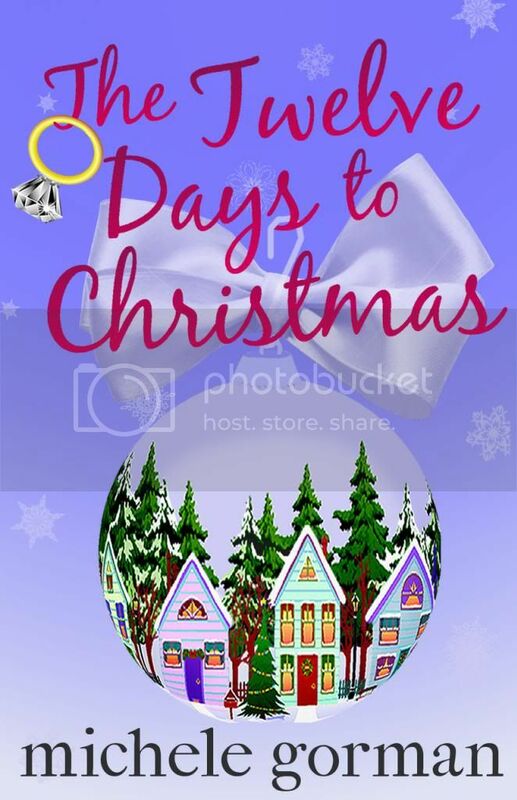 And when Primmy receives an invitation to spend her birthday with her mother, Primmy can only hope that she will accept her for who she is—or at least explain why she left their family. This touching coming-of-age tale will keep you smiling at Primmy’s antics and rooting for its delightful cast of characters. 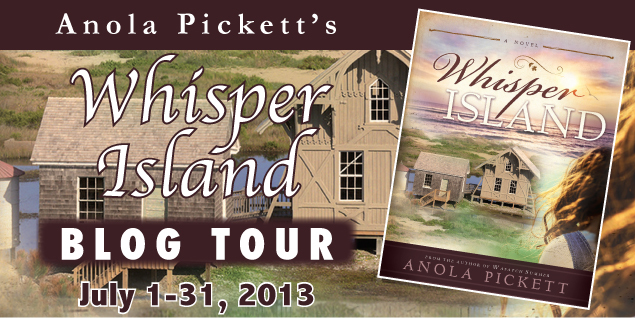 Parents and children will both enjoy the rich historical setting and engaging humor of Anola Pickett’s latest novel. 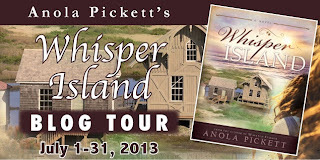 Anola Pickett grew up in a family of storytellers. Even her name has a story: it’s a combination of her two grandmothers’ names—Ann and Ola. Every family story grew longer and more colorful each time another person told it. In third grade Anola discovered that writing down stories was fun, too. In college she combined her love of reading and writing and earned a degree in English and creative writing. After spending several years as an elementary and middle school teacher, Anola worked as a school librarian. 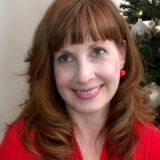 Now she writes full-time at her home in Kansas City, and a few years ago discovered that she enjoys writing historical fiction for young readers. She and her husband, Peter, enjoy traveling together and always come back with at least one idea for another story! Twelve-year old Primmy doesn't mean to get in trouble, it just seems to happen. Between muddy sheets and runaway pigs, Primmy dreams of joining the Life Savers. There is only one problem, she's a girl. And what about her mother who after running away nine years earlier suddenly wants to see her. 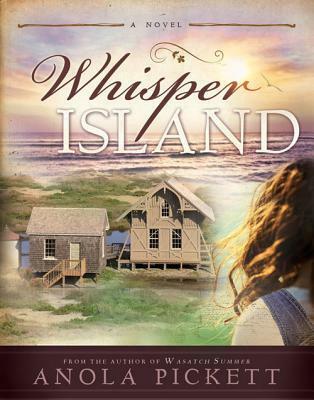 Life in Whisper Island is anything it boring for young Primmy as she navigates her way through problems of all kinds. I really enjoyed this book. Primmy is a likeable character and made me laugh with her antics. 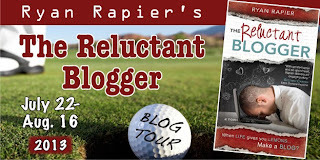 Yet there are some thoughtful themes explored here as well, themes of growing up, pleasing others, and finding one's own path in life regardless of what the world has to say about it. The inclusion of unusual vocabulary words and local dialect makes this historical fiction novel well worth sharing in the classroom. Recommended. Ryan Rapier is an Arizona native and through the course of his life has come face to face with a rattlesnake more than once. For that reason alone, he would likely have left the desert behind years ago were it not for one thing—the luxury of year-round golf. 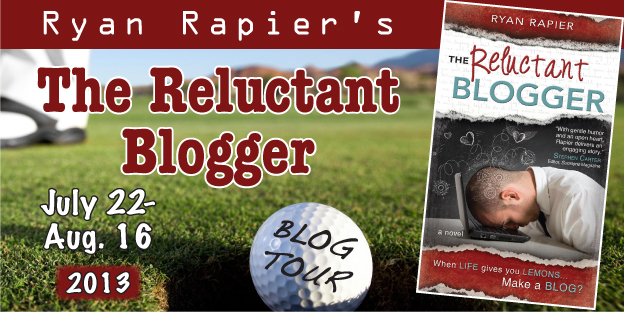 When Ryan isn’t on the course or in front of a computer screen, he can usually be found chasing behind his four children or doing errands for his amazing wife in the isolated beautiful valley they have both called home forever. Ryan’s further thoughts and opinions that concern nobody but himself can be found at his website, www.ryansrapierwit.com. Todd misses his wife desperately but he doesn't want to talk about it, not even with his therapist. 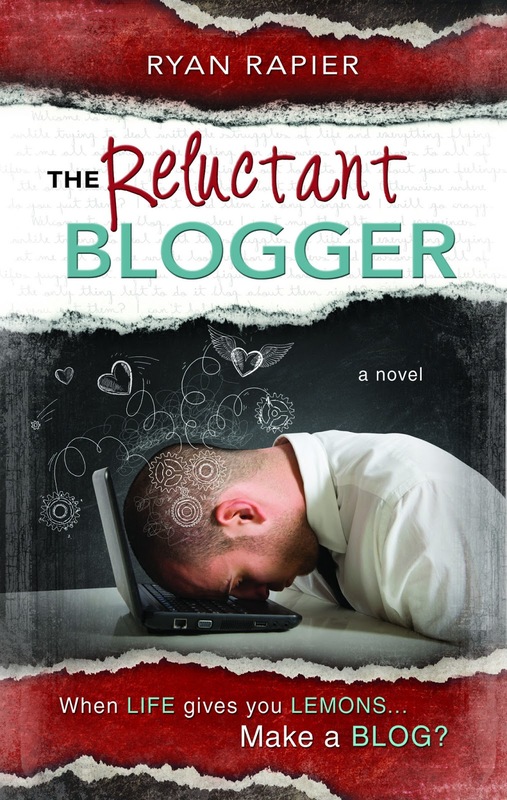 When his therapist insists he keep a blog in order to express his thoughts and feelings he agrees reluctantly. Between a best friend and father who want him to date and marry again and his three children, he feels like he has enough to handle, but when he meets Emily he slowly starts to open up and embrace life again. But life has a way of throwing hurdles in one's path and Todd must find a way to face them. There are books that are unrealistic but enjoyable enough that one overlooks the unbelievable parts. Other books seem so real that the characters could walk through the door at any minute. The Reluctant Blogger is one of the latter. Todd came through as such a normal person facing the challenges and heartaches that life tends to deliver, but also the good things. The book reads like someone's journal except maybe a little more detailed than most. 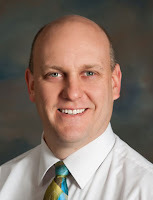 I quickly came to sympathize with Todd and his heartache as he struggled to deal with the death of his wife. When I start to feel the same things the character feels I know the author has done a good job and Rapier has done a good job here. LDS culture does come into play here but not in an intrusive way. Recommended. Teddy belonged to ten-year-old Aileen Rogers, whose father Lawrence left Aileen, her little brother Howard, and his wife Janet home on the family farm in Quebec when he went to war. Janet and Lawrence exchanged more than 200 letters during his service. Aileen and Howard also wrote their dad  and Aileen sent her beloved Teddy overseas to help protect him. Sadly, Lawrence died at the battle of Passchendaele. In 2002, his granddaughter Roberta Innes found Teddy and the letters in an old family briefcase. Her findings uncovered how a Canadian family’s strength was tested by war and how a small stuffed bear became an enduring memento of their love. 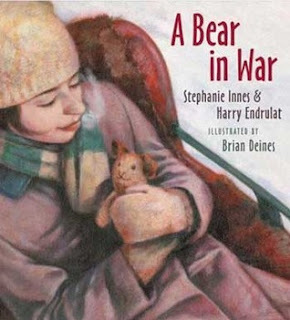 Sensitive text by Harry Endrulat and Roberta’s daughter Stephanie, and Brian Deines’ lovely illustrations bring this unusual story of love and war to life. A Bear in War tells a tender story about the love of family and the heartache brought by war. Aileen Rogers loves her teddy bear and he tells us about life with Aileen and her family in Canada during World War I. When Aileen's father joins the Canadian army, life goes on for those at home, despite how much they miss him. Finally, Aileen sends her beloved Teddy to her father to protect him and he is carried about in Aileen father's pocket until he is killed in battle. War is a sensitive subject especially when presented to children. This book presents a look at a war that isn't as well known from the perspective of a toy (although the story is very much based on fact as the book documents) which allows the reader a glimpse of a family's love for each other and how war disrupts that. The theme revolves around the love of family despite the challenges and heartache that war brings to families throughout the world. I found the book touching and a powerful reminder of why people go to war at all. With a lengthier text and beautiful illustrations I can easily recommend this book. I do recommend keeping a kleenex handy. As a youth, Bruce loved mysteries and spy stories, including The Man From U.N.C.L.E., James Bond movies, Get Smart, and Our Man Flint. Analysts suspect this may have planted the seeds for future involvement in SCHOOL FOR S.P.I.E.S. After college, Bruce assumed various identities — gardener, DJ, cartoonist, magazine editor, actor, and corporate lackey. But always in the back of his mind was a return to writing. Today, Bruce has written and illustrated nearly 30 books for young readers, including the Chet Gecko Mysteries, the Underwhere graphic novels, and Snoring Beauty. 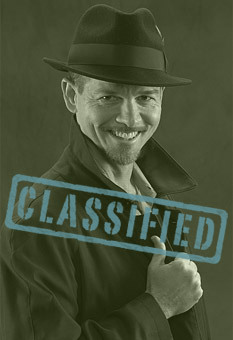 He claims no direct knowledge of code-breaking, disguise, or wiretapping techniques. Some of his more suspicious claims — that he appeared in a movie, won the Nobel Peace Prize, hiked the Himalayas, and won an Olympic gold medal for the Underwater Nerf Ball event — are still being investigated. Bruce was last seen on the streets of Santa Barbara. Approach with caution — suspect is armed with a wicked sense of humor. One of the great pleasures of writing a spy book is getting to do the research. And one of the most interesting things for me to research was secret codes. I remember, as a sixth-grader, I was envious of those two girls in my class who knew American Sign Language and could “talk” during class with impunity, while those of us who sent wadded-up notes were usually busted by the teacher. I haven’t gotten around to learning ASL yet, but during my book research, I did manage to pick up a couple of codes that your average exasperated teacher might not crack. Simple, but effective. Create a normal-looking shopping list. Your partner will decode it by taking the first letter of each line on the list. But if there’s a number in front of that word, then you take whatever letter the number tells you to. For example: 4 apples means to use the l from that word, but just the word apples means to use the a. Got it? Go ahead, try to decipher the shopping list message below. And even if your partner doesn’t decipher the message, you’ll have the makings for a truly disgusting smoothie. One of the oldest codes in the world is the Caesar Cipher, named after the famous salad dressing. I jest. It was actually named after Roman Emperor Julius Caesar, who used it in his private letters when he didn’t want nosy folks to grasp his meaning. This simple encryption technique relies on substitution. Each letter in the plaintext (original message) is replaced by a letter some fixed number of positions down (or up) the alphabet. For instance, with a shift of 2, A would be replaced by C, B would become D, and so forth. To enable deciphering, tell your contact person the key—the number of spaces shifted left or right—and they will perform the process in reverse. The idea, of course, is to make sure that the key doesn’t fall into anyone’s hands but the intended recipient’s. Otherwise, your teacher will decipher it easily, and you’ll wish you’d learned American Sign Language instead. 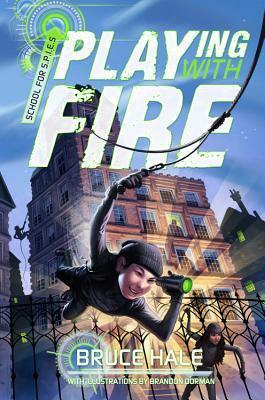 I quite enjoyed this book with its spy school and great characters. Max is definitely a sympathetic character, starting at the beginning where he is accused by his foster father of starting the fire that burns down their house, which he didn't do apparently. 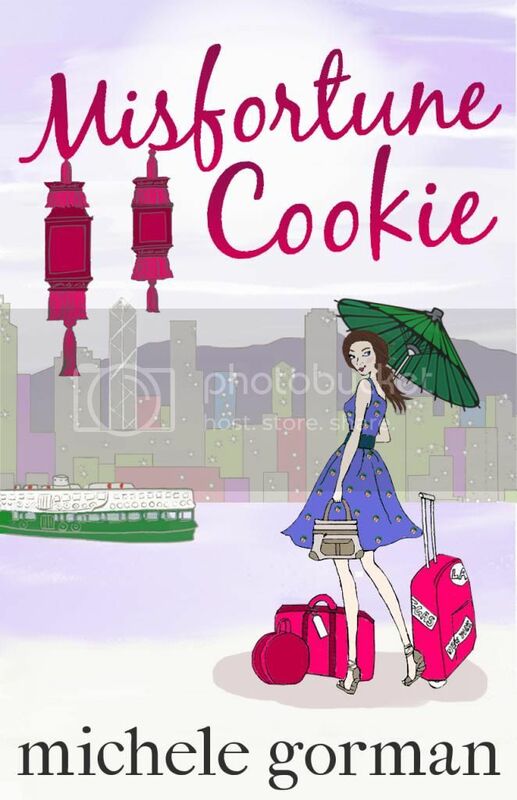 When Max ends up at the spy school he meets Hantai Annie Wong who runs the school, the half-Chinese lady who speaks Japanese and barely English. He is baffled by the classes he takes that introduce him to dodging flying projectiles and picking locks. He eventually learns that this so-called orphanage is really a school for spies. But the only thing Max is really interested in is finding his father, who he learned from a secret coded message is still alive, and he doesn't care who he has to hurt to find him. "A shaggy black-and-brown dog the size of a Shetland pony sat by the long table, watching every bite, ropes of drool dangling from its mouth. When Max passed by, it growled, rumbling like a distant avalanche." Bottom-heavy and block-headed, they resembled a pair of angry Russian nesting dolls. Mostly though this book is an entertaining story with great characters and an adventuresome plot. Recommended. Thanks to the publisher I have a copy to give away! 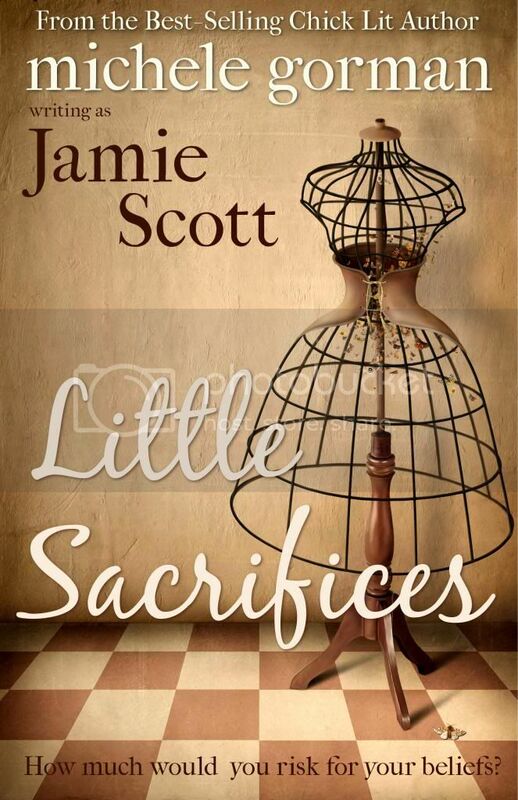 Known for her best-selling chick lit (the Single in the City series and Bella Summer Takes a Chance), Michele also writes coming-of-age fiction under the name Jamie Scott and today sees the re-launch of her first novel, Little Sacrifices. This atmospheric, evocative depiction of the American South may just be the perfect summer read for fans of The Secret Life of Bees or To Kill A Mockingbird. When the Powell family moves to Savannah Georgia in the late 1940s, they hope against hope that they'll be welcomed. But they're Northerners and worse, they're civil rights advocates almost a decade too early. The American South is deeply segregated. At first their daughter, May, can pretend they're the same as everyone else. It means keeping quiet when she knows she should speak up, but it's worth the sacrifice to win friends. Unfortunately her parents are soon putting their beliefs into action. And when they wake to find that they're the only family on the block with a Ku Klux Klan cross blazing on their front lawn, the time comes for them to finally decide between what's easy and what's right. Click here to download the free mini-book. Mike Austin is an award-winning illustrator and graphic designer. He is the author of the digital children's book app A Present for Milo, which has garnered raves and recognition on NPR, in USA Today, and on MSNBC. He has created artwork for the Wall Street Journal, Boys' Life magazine, and more. He lives on the Big Island of Hawaii with his wife, their two children, a cat named Milo, and a dog named Prudence. A delightfully chaotic introduction to colors, Monsters Love Colors provides a short, fun read. 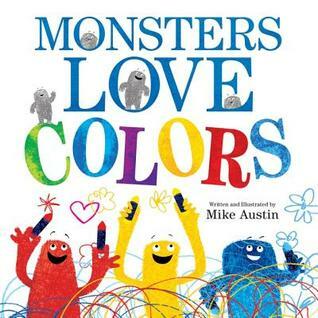 With many scribblings reminiscent of preschoolers the monsters declare their love for various colors starting with red, yellow, and blue. Gray monsters gradually decide what colors they want to be and the primary colors mix those colors for them, until the last one. What will he choose when another monster chooses the color he wanted? A creative way to teach children about colors and how mixing the primary colors provides additional colors and how they all combine to create a rainbow. Child tested and librarian approved. given a pair of wings. She can fly! Life cannot be any better. she believes that it was entirely her fault. 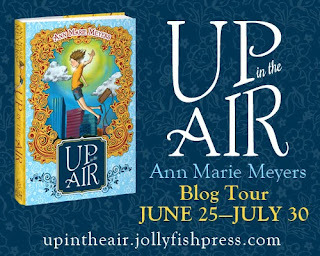 One of the most popular questions people (especially children) have been asking me recently is how I came up with the idea for Up In the Air. Well, the inspiration for this story was unlike any other idea I have ever had. I was excited yet afraid I would forget the details, and so Istopped the meditation abruptly and ran to my computer and started typing. By chapter 3, I realized that I was in trouble. I had a vague idea about how the last chapter should go, yet what was supposed to happen between Chp. 3 and ‘The End’ was a complete blank. So, I went back to my meditation spot, closed my eyes and waited. And waited. I tried for several days, weeks, months even. I was on my own. At first it was impossible to break the impasse. Nothing I wrote felt right. I kept wondering what would have happened if I had not halted the meditation and gotten the overall story idea. I should have waited. I should have…. I should have…. It was only when I stopped beating up on myself and accepted the situation that I was finally able to let my mind soar free and figure out who exactly Melody was, how the world of Chimeroan operated, and how the story had to unfold. It took several years, during which time I wrote two other books, but I always came back to this story. 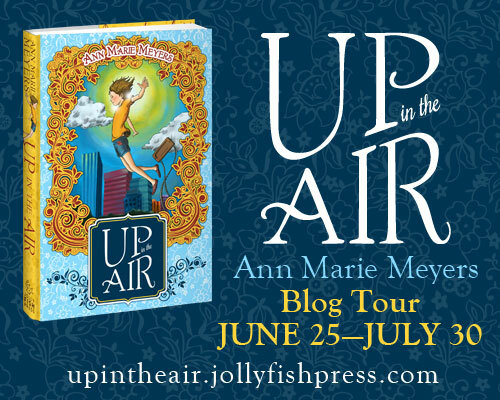 And when the rejections started pouring in, I had to constantly remindmyself that the idea for Up In The Air came from some place beyond me and if that was the case, then I had to persevere. I could not give up. And so, after many revisions and suggestions from my writing buddies, the manuscript was ready. When I first started reading this book, I wasn't sure I was going to like it. Until I started to realize why Melody was behaving so closed off. Due to an accident her father can no longer walk and Melody blames herself for it. Because she won't talk about it she tends to alienate those around her. Shen ends up in a magical land called Chimeroan where she gets the opportunity to gain wings and learn to fly, but she ends up learning so much more than that. This is a story of learning to trust yourself and being willing to open yourself up to others. 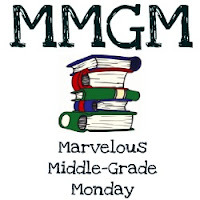 While not as detailed as I would have liked it is very appropriate for middle grade readers, the intended audience. A code coming-of-age story perfect for middle grade readers. Recommended. 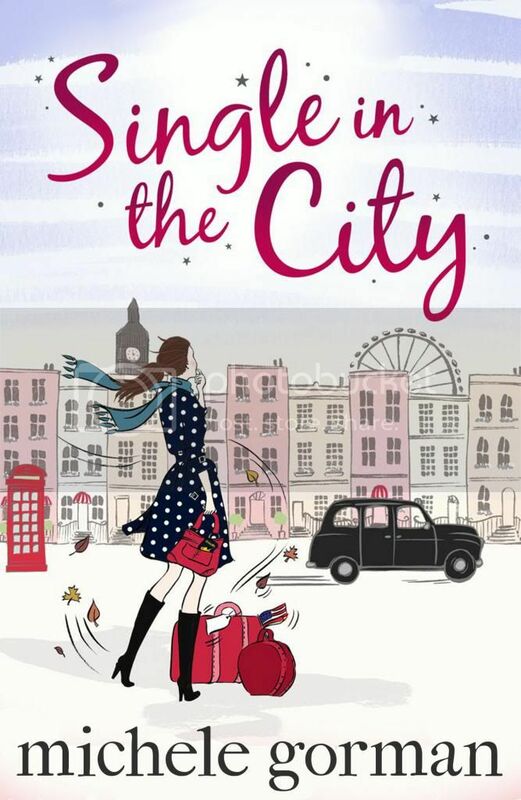 Two fun e-books by Ilana Waters!